Tashkent continues to coerce citizens into picking cotton, and harass human rights activists making not of it. The report’s recommendations for Uzbekistan include stopping the use of child labor, ceasing to compel adults to labor, and allowing civil society to monitor the harvest. In the latter two areas, Uzbekistan appears to be failing. Less than two months before the report was issued, well-known Uzbek human rights activist Eleana Uraleva was detained and abused by police after she was caught photographing people forced to work in cotton fields. 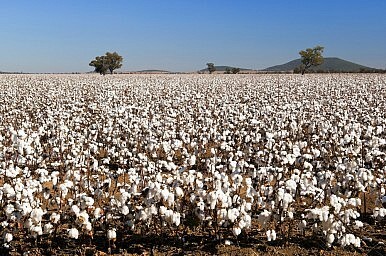 As the cotton harvest moves forward, reports have surfaced indicating that little has changed with regard to adults being forced to pick cotton. The Cotton Campaign notes that the Uzbek government has committed to “promote voluntary recruitment and to prevent mobilization of teachers and healthcare workers for the cotton harvest.” Yet Vice News carried a report last week that says high school and college students have been coerced into signing “voluntary” contracts to work in the fields. So much for ceasing to compel adults to pick cotton. And as for allowing civil society to monitor the harvest? On September 24, Human Rights Watch reported that on September 21,“police detained and beat a prominent rights activist, Dmitry Tikhonov, as he was documenting people being sent to the cotton fields.” Two days earlier, Elena Urlaeva and others, including her husband and 11-year old son, were detained. In both cases, the police arrested, intimidated, and ultimately released them without charge. HRW notes that Urlaeva has been detained four times in the last four months. What’s the Verdict on Forced Labor in Uzbekistan’s Cotton Harvest? The risks of forced labor are real, but people tend to keep silent.